Getting a dog from a REPUTABLE breeder makes sense. If they know what they are doing, breeders can give you a wealth of knowledge that will help you to end up with exactly the dog you wanted. However, it is important to remember that anyone who allows their dog to be mated is a breeder. But does that make them a good one. Longevity is no indication of quality. I know many breeders who have been breeding dogs for a great many years, but I wouldn’t advise anyone to get a dog from them. I personally would NEVER advise ANYONE to get a puppy from a pet shop. No responsible breeder gives their dogs to a pet shop, as the dogs carry their reputation, so they will want to keep tabs on where it ends up. So the likelihood is that the puppy in the pet shop is not from good breeding stock. A rescue centre can be a very rewarding place to get a dog from. Not every dog in rescue has a problem. They can be in there for all sorts of other reasons. A marriage break-up, an owners death, a member of the family becoming allergic to the dog can all be reasons why a dog ends up in rescue. So give it some thought, and you may end up with just what you were looking for. Usually have a sound knowledge of the history of the breed. 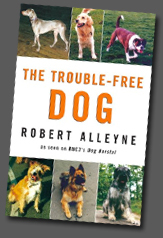 Should be able to give you the dogs pedigree papers, telling you the ancestry of your dog. The dog should have genuine pedigree papers. You should have an opportunity to see the mother, and possibly the father. You should get a chance to see where and how the puppy was reared. Reputable breeders usually want to be kept informed on their puppies progress. The breeder is an on-going point of contact. If the breeder keeps their breeding stock outside, as many do, they may not be knowledgeable on what the breed are like to live with for an owner who will have the dog living indoors. May be very traditional, and can often give out very out-of-date information on a host of subjects. 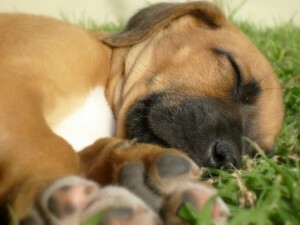 Many breeders inadvertently cause problems for puppies and new owners by not educating the puppies while in their care. This can have repercussions for the new owner. The puppies may have seen a lot of people while in the shop, which can help with socialising. The puppies may have seen a lot of people while in the shop, which can be very disturbing for nervous puppies, and can have long-term consequences. Since they are often from puppy farms, the pedigree papers are often forgeries, since reputable breeders rarely want to sell to shops and risk losing control of where their puppies end up. Puppies are often in poor physical condition, as they have frequently been poorly bred, reared, and fed, and may well have travelled very long distances to get to the shop, with a high mortality rate on the way there. As litters are often mixed, there is a high risk of cross-contamination. The puppies will most often have been sold to the shop via a puppy farm or agent who bought them from a puppy farm. If people stopped buying puppies from pet shops, it would SERIOUSLY damage the puppy farm industry. You will be helping a dog that already needs a home. Rescue centres often spend a considerable amount of time assessing the dog in their environment before homing it. There are usually many staff there who can help advise on the right type of dog for you and your family. You may be able to look at many different types of dog all at the same time in the same place, making comparison easier. The dogs will usually only have been assessed in the centre, not in a house, so it is often difficult to tell how they will behave when you get them home. Original owners may not have been totally honest with the rescue centre when they handed the dog in. The dog may have forgotten about housetraining after spending time in a kennel environment, though they usually get back into routine fairly quickly if they were clean when they went into rescue.